The daytime hours may be for exploring the worlds of Mickey Mouse and Harry Potter, but those looking for adventure and excitement of a different kind will find no shortage of things to do in Orlando at night. From the upmarket ambience of Winter Park’s wine and cocktail bars to the bright lights of International Drive, follow our guide to find the best nightlife in the vibrant city of Orlando. The coolest night club in Orlando, the ICEBAR, is the absolute antithesis of the Sunshine State. It’s the largest permanent ice bar in the world, so where better to put it than in the American south? On a sweltering hot summer’s evening, head down to International Drive and wrap up warm in a complementary coat and gloves and enjoy cocktails, food and tunes spun by ICEBAR’s DJs until late. And don’t worry about uncomfortably cold loo trips, only the actual ICEBAR is kept below freezing, so the toilets are reassuringly warm. If you’re looking to get away from the Orlando tourist spots and find where the locals go to have fun, get yourself down to The Social. Primarily a gig venue, it also specialises in themed club nights covering everything from pop and soul to emo and indie. This 400-capacity venue gets rammed in the best way possible with Orlando’s bright young things, bouncing along to rising and established bands from all over the globe. It’s probably the best place to see live music in Orlando and definitely the sweatiest. 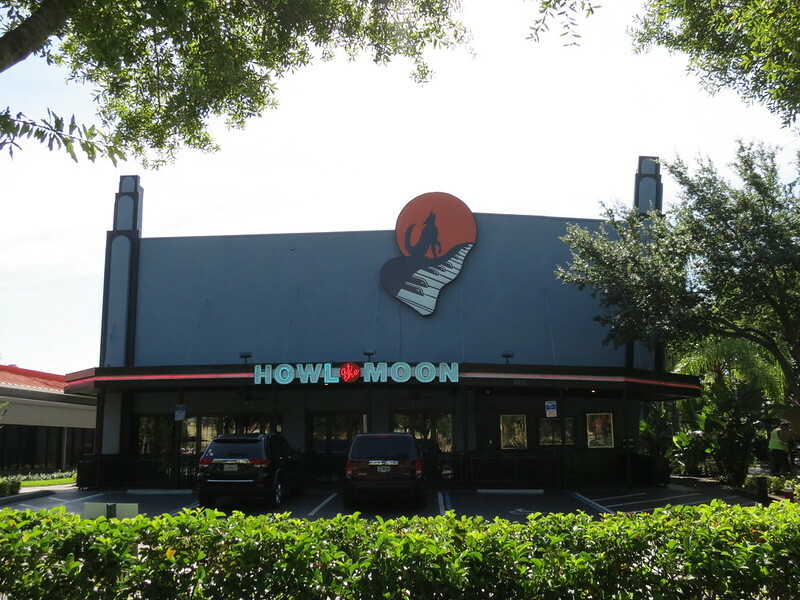 The Orlando outpost of this popular chain is one of the most reliably pumping venues on International Drive. It’s a mix of live venue, nightclub and bar, all revolving around one central theme. Onstage each and every night, two grand pianos duel it out, bashing out covers of popular hits from the 60s right up to today with a full backing band and talented singers. Check out their website for drinks deals, happy hours and special events. Eden Bar is great whether you’re stopping off to catch a cult film at the adjoining Enzian cinema or just want to enjoy the balmy Floridian evenings with an al fresco drink and some great food. It’s a popular spot due to its relaxed ambience and wonderful, natural surroundings, while the extensive bar food menu of pizzas, sandwiches and sharing plates makes for the perfect accompaniment for their signature cocktails. The blues run deep through this bar, restaurant and live venue in Lake Buena Vista. The menu is the first giveaway, featuring Southern classics such as po’ boys, jambalaya, ribs and shrimp and grits. And once you’ve fuelled up, pop into the 2,100-capacity venue next door for shows from top touring bands (mostly rock, indie, metal and blues) or deep-fried blues from the house band. Weekly highlights include the Sunday Gospel brunch, where you can raise your spirits while downing some tasty fried food. 358 North Park Avenue, parksocialwinterpark.com If you’re looking for nightlife in Orlando that’s a little more chilled than the bright lights of International Drive, then Winter Park is the place for you. Park Avenue is stuffed to the gills with so many trendy cocktail and wine bars and top class restaurants that repeated visits are almost a necessity. Park Social is one of the highlights, a laid-back cocktail bar where the relaxed vibe, mismatched vintage furniture and music of yesteryear give the impression of having stumbled through a time machine. Book your flights to the Sunshine State with Thomas Cook Airlines and start planning your Orlando adventure now. What’s your perfect USA destination? Travel Video Awards – Vote for us!